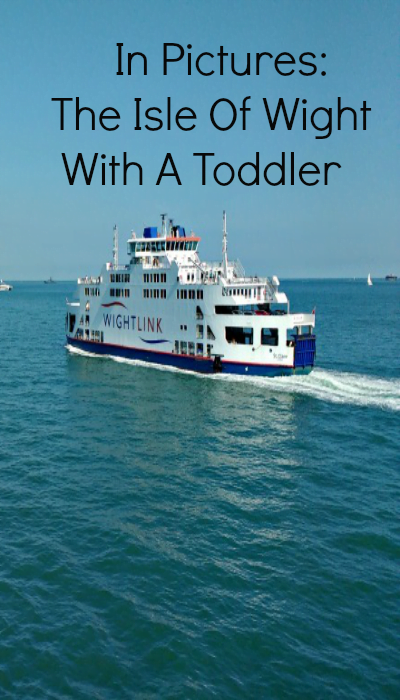 The Isle of Wight is a great place to go on holiday with a toddler. 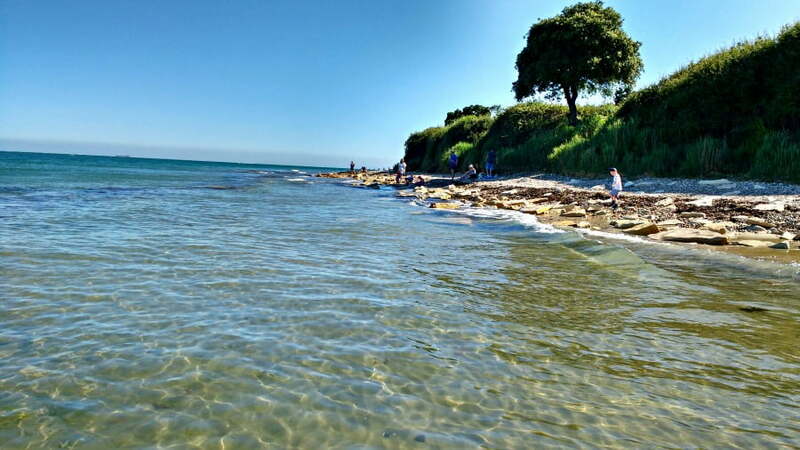 I spent a week there in the summer with my family, and swam in the sea, spent days at the beach and went swimming (in an outdoor pool!). 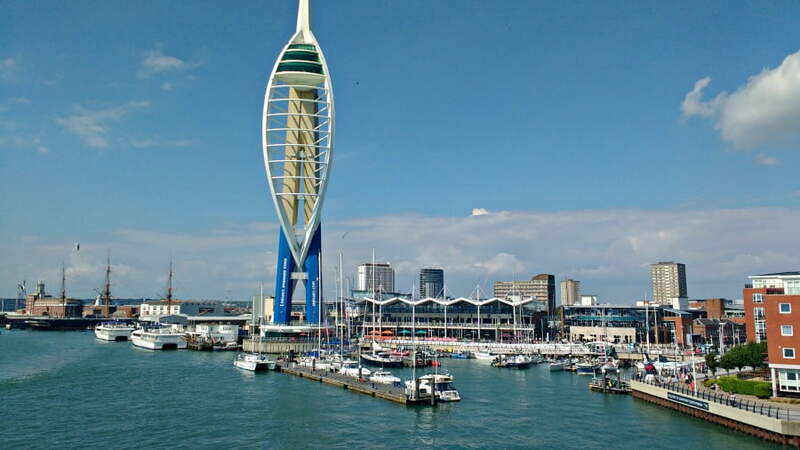 Just a 45 minute ferry journey away from Portsmouth is a little slice of toddler heaven. 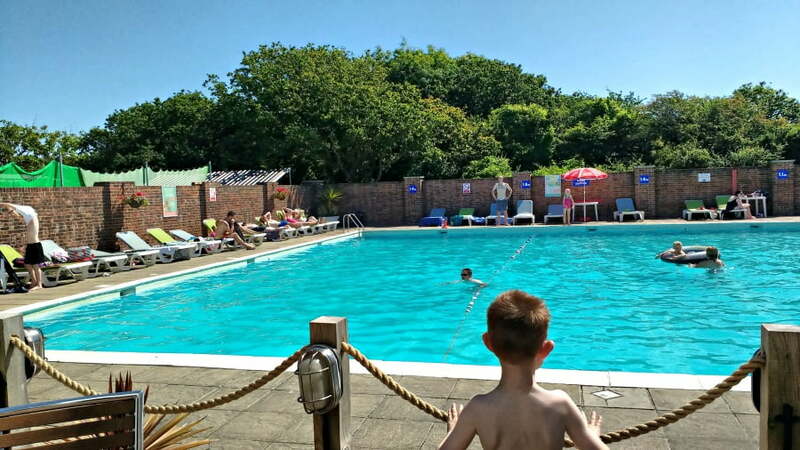 There are so many things to do on the Isle of Wight for toddlers that we could have easily stayed for 2 weeks. 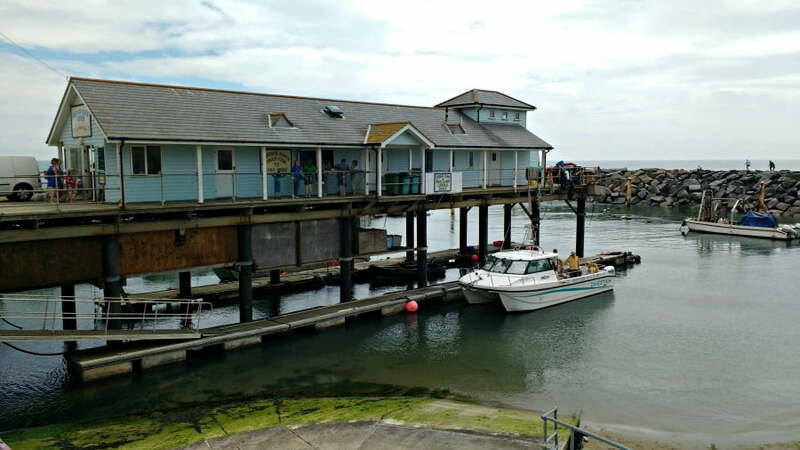 Don’t take my word for it though – these are some of my favourite photos from our holiday in the Isle of Wight. 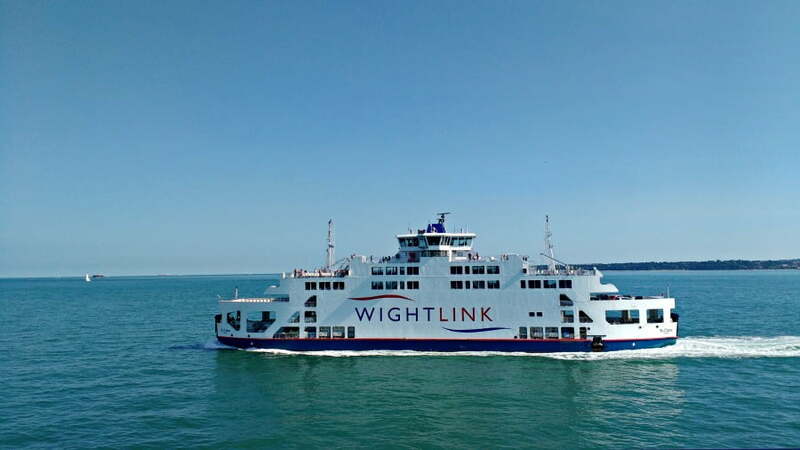 Getting to the Isle of Wight is part of the adventure. 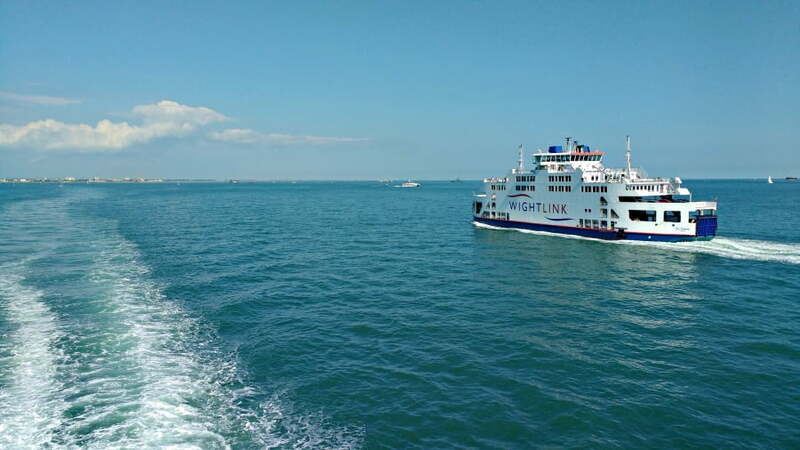 After a long drive down to Portsmouth from our home in Yorkshire, we were all so excited to board our Wightlink ferry to Fishbourne. 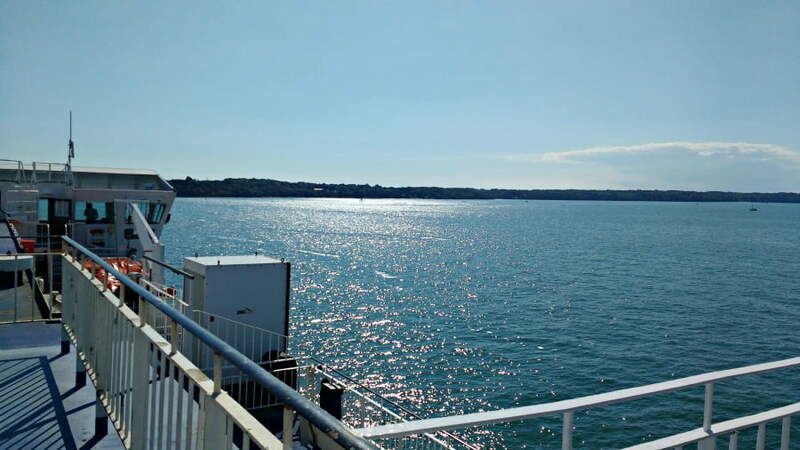 It was so easy to drive the car onto the ferry, and then for us to hop out and climb up to the top deck to wave goodbye to Portsmouth and hello to the Isle of Wight. 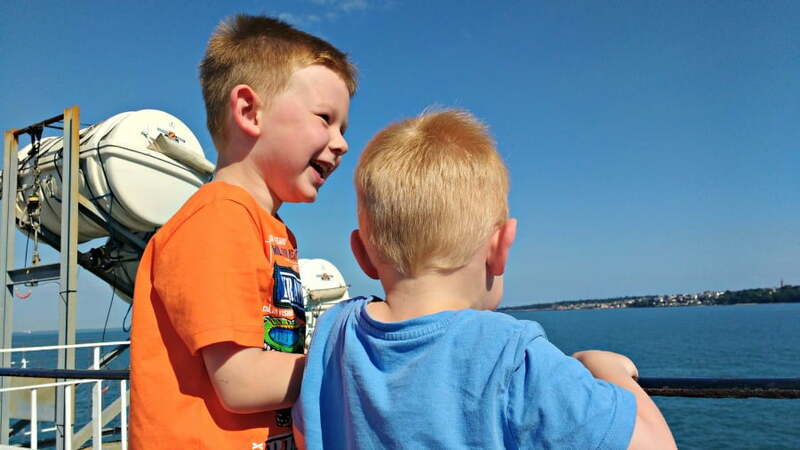 The boys were very excited on the ferry to the Isle of Wight! Taking the car meant that we could pack everything we needed, including toys, bikes and toddler essentials. And at just 45 minutes long, it was the perfect length for impatient toddlers. 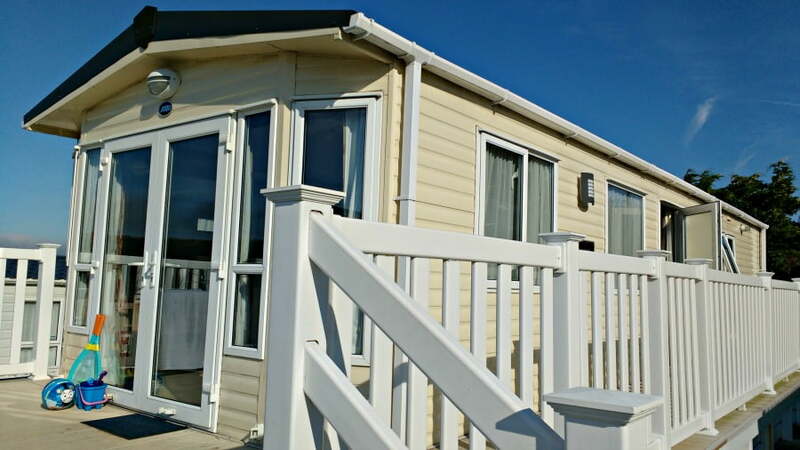 We spent a week in a holiday home at the Whitecliff Bay Holiday Park which was only about 20 minutes from Fishbourne. 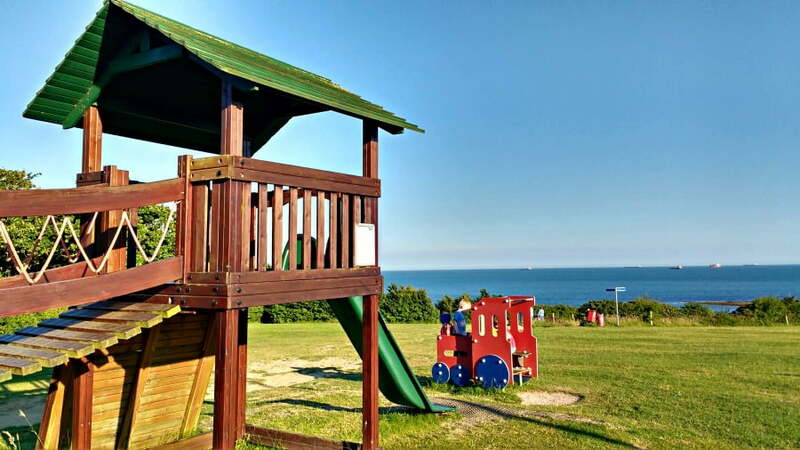 This newly renovated holiday park had everything a family with a baby or toddler needed including a cliff top playground, indoor and outdoor swimming pool and its own beach. 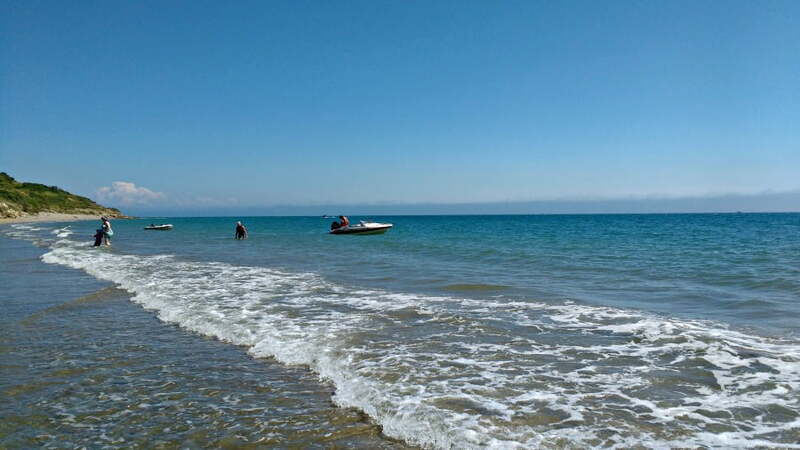 It was hot and sunny, so we spent the first few days on Whitecliff Bay beach. 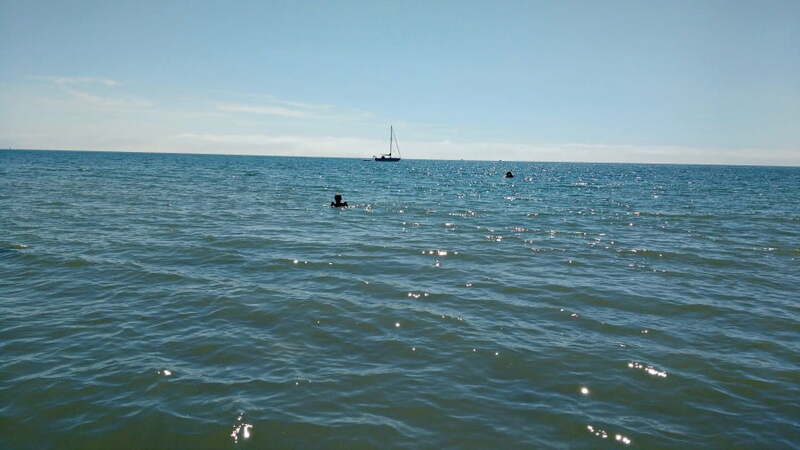 We went swimming, built sandcastles, played games, and waved to the cross channel ferries which were steaming their way over to France and The Channel Islands in the distance. It was pretty much perfect. 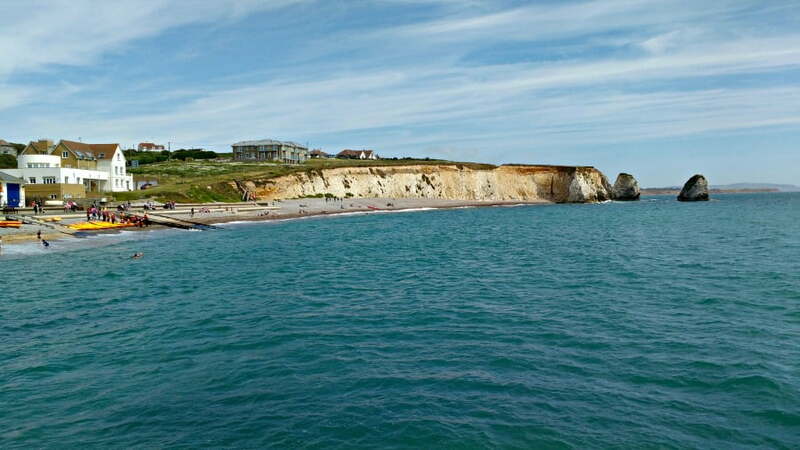 The Isle of Wight is only 40 miles wide, so you can be anywhere on the island in less than an hour. We threw our bikes and swimming kit into the back of the car and went off to explore. 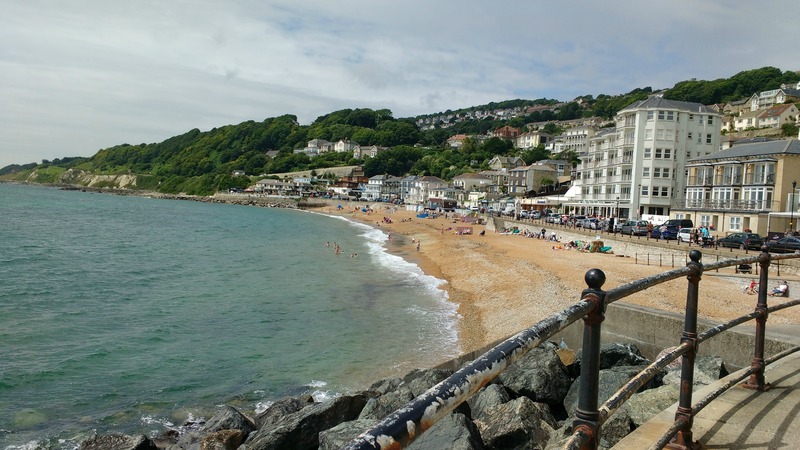 There are great beaches at Shanklin, Ventnor and Freshwater Bay. 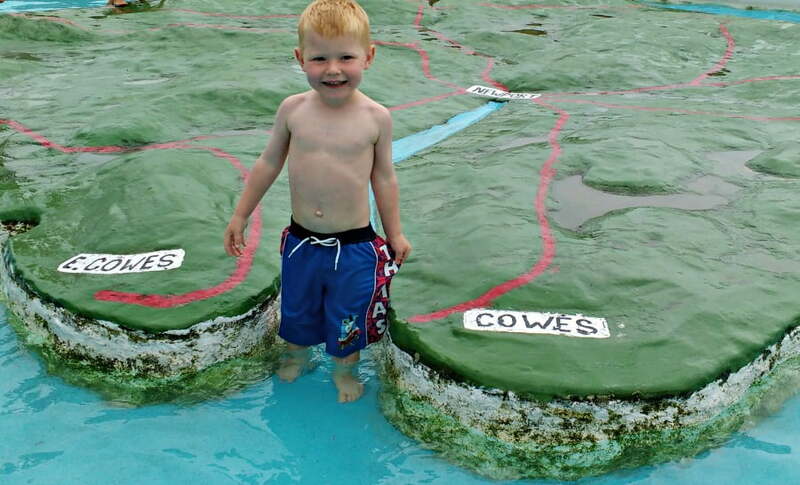 Toddlers will love the paddling pool at Ventnor which is shaped liked the Isle of Wight. 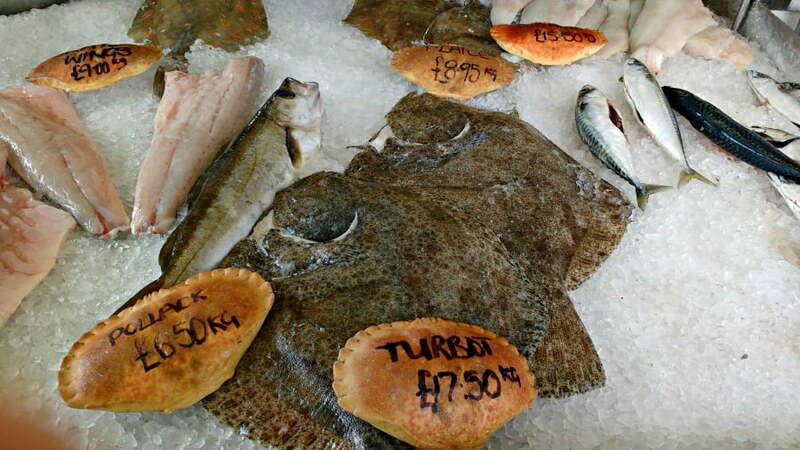 Don’t miss a trip to the Ventnor Haven Fishery where you can buy fresh fish, and have some of the best fish and chips on the island. 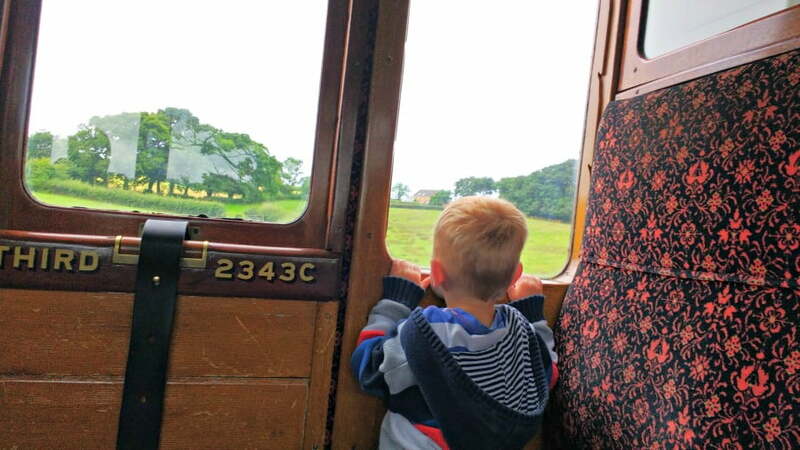 The Isle of Wight Steam Train is a great day out for toddlers. 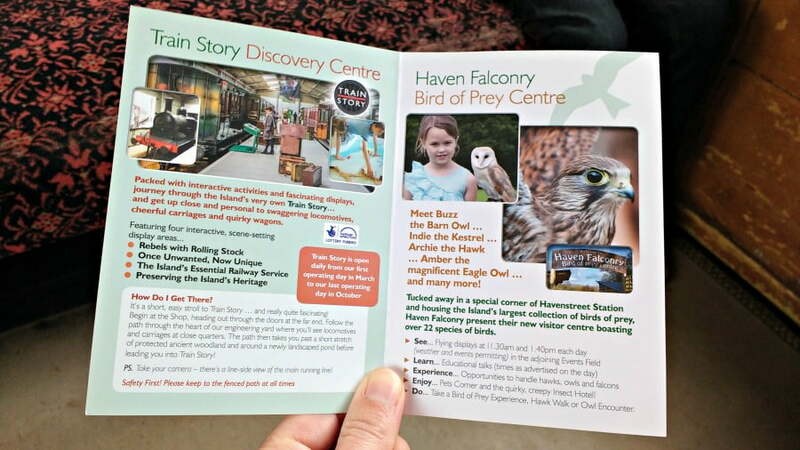 As well as rides on the steam trains, there is also a Bird of Prey demo, a woodland walk and a fantastic train museum called The Train Story. 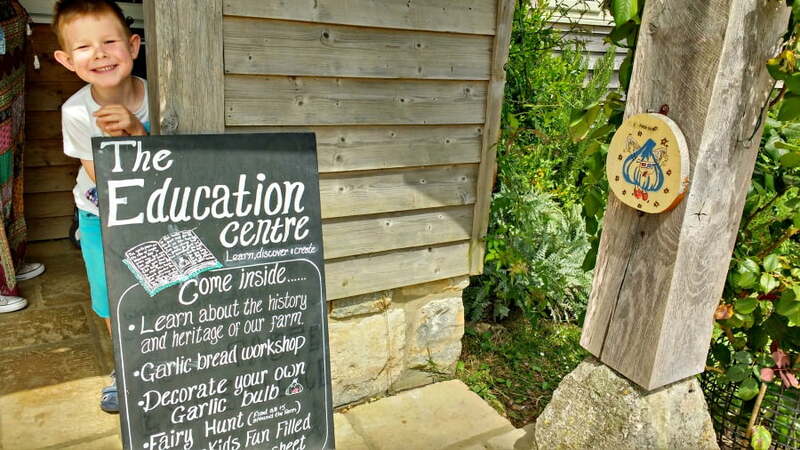 The Garlic Farm is one of the most unique places to visit on the Isle of Wight, and again, is great for toddlers. 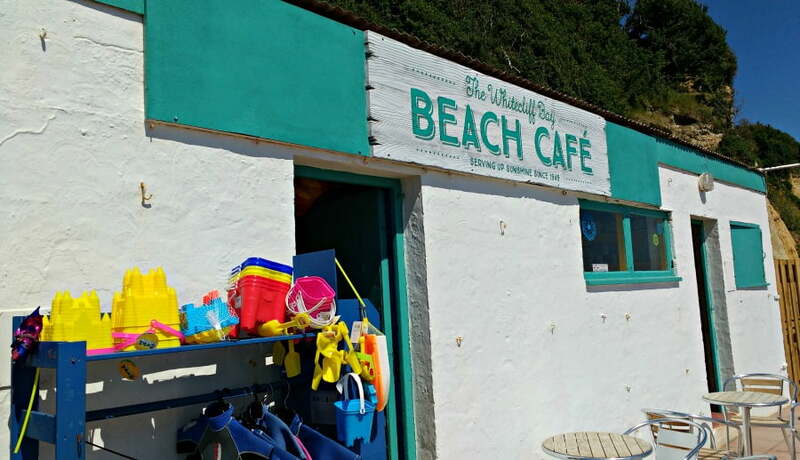 There is a nature walk, loads of place to run around in and the shop sells the famous Mingella Ice Cream. 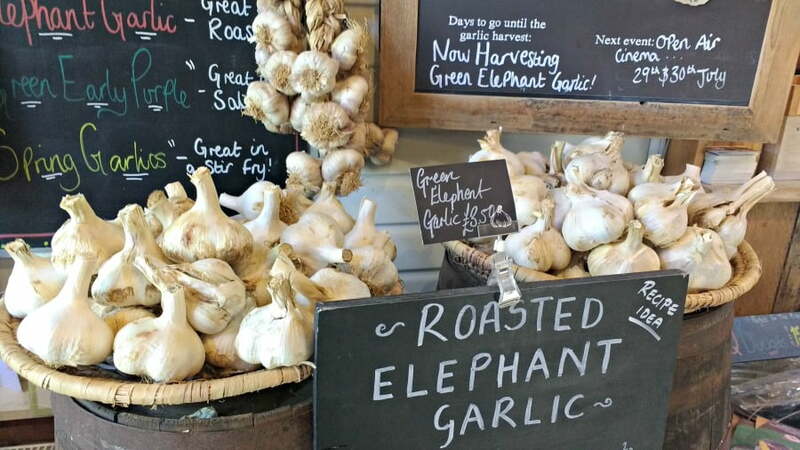 We also loved looking at all the different varieties of garlic grown on the farm. 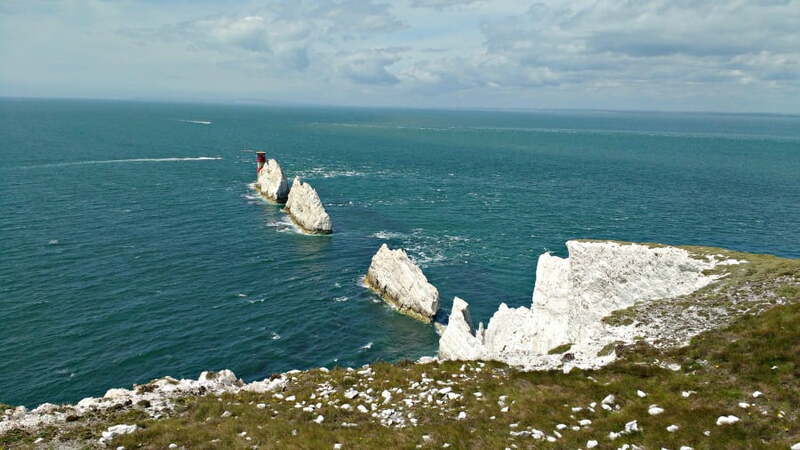 One of the most popular days out on the Isle Of Wight is to The Needles where you can take a chair lift down to the beach and have a boat trip to see the famous Needles rock formations. 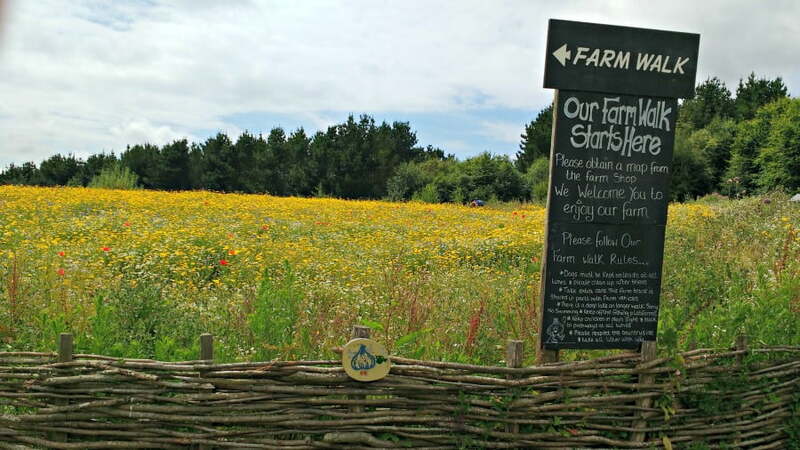 We visited The Needles Old and New Battery which is run by the National Trust. 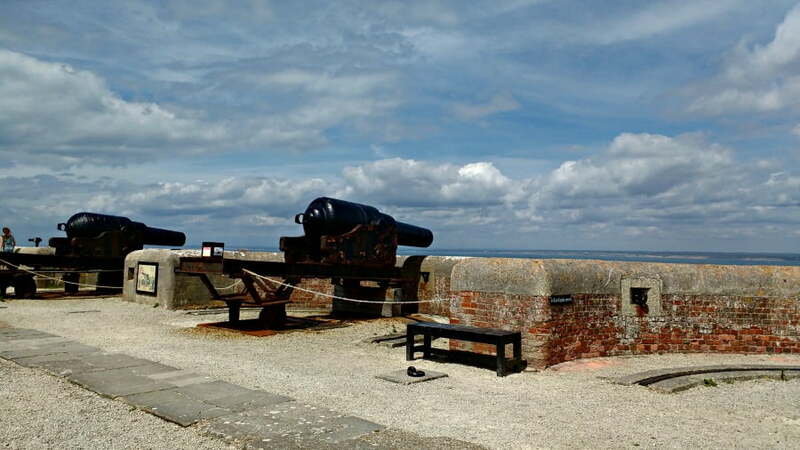 This gets you the best views (onshore) on the Needles and also tells you about the secret military history of the Isle Wight. 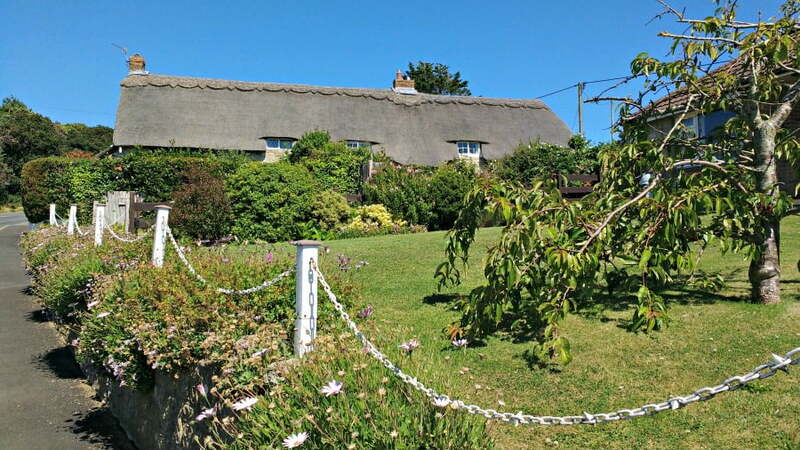 Godshill is one of the most picturesque villages on the Isle of Wight, and another place which toddlers will love. 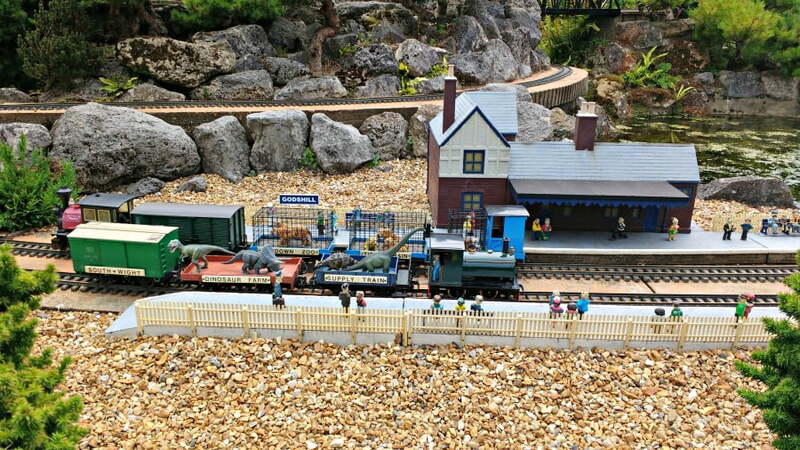 This replica of the Isle of Wight has miniature versions of all area of the islands in including Shanklin, and a working train. We couldn’t drag my toddler away from this! 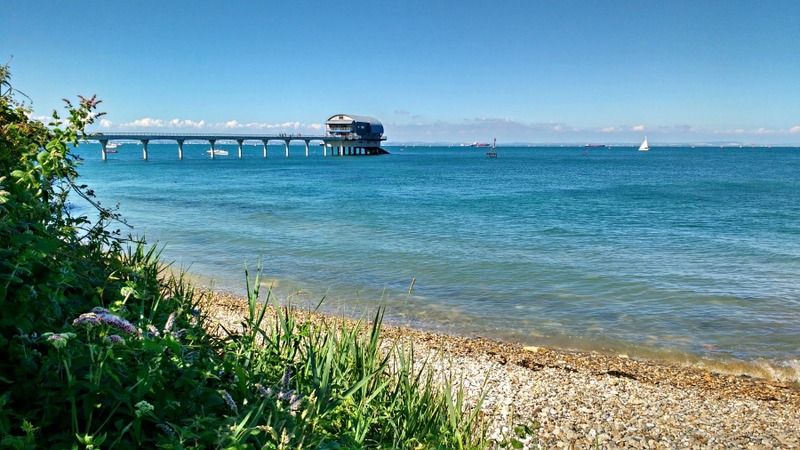 Bembridge at the top of the island was another delight with Bembridge Pier, which is the home to the RNLI Lifeboat. 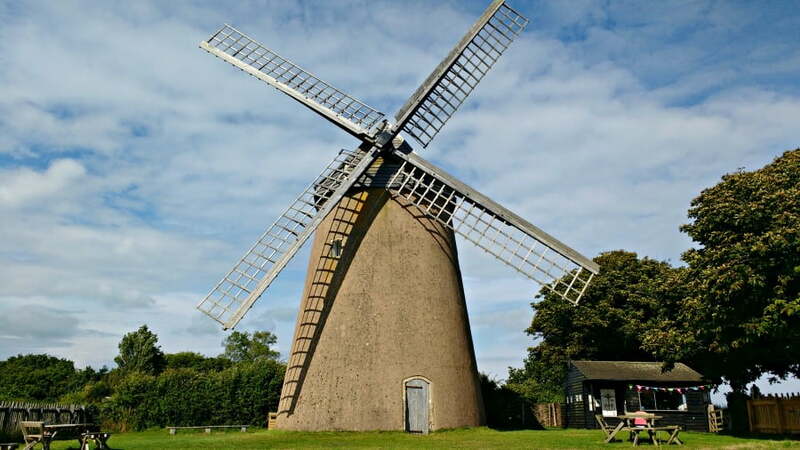 It is also home to Bembridge Windmill which you can climb up. 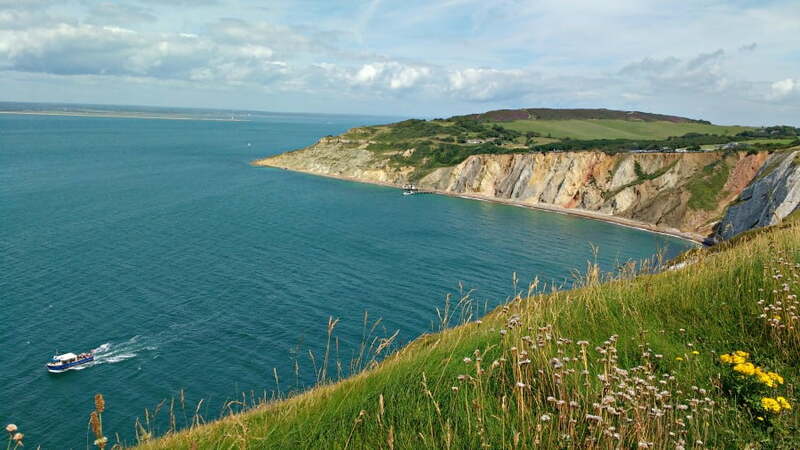 As well as the beaches, the Isle of Wight is known for its coastal path around the island. 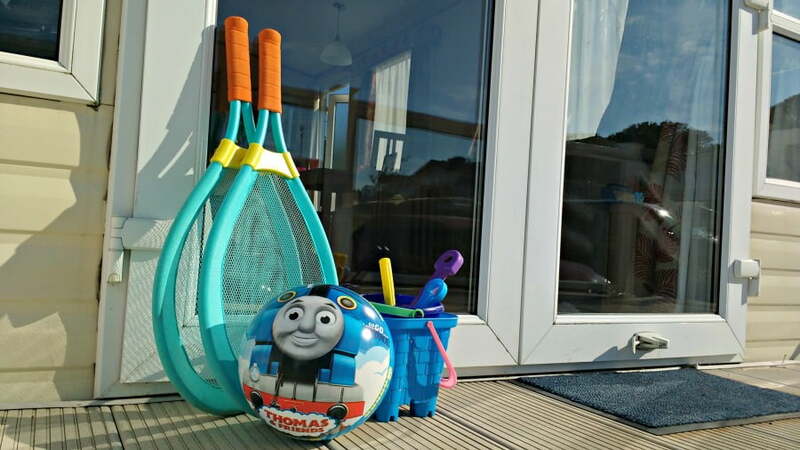 Families who like walking would love this, although a baby carrier is a necessity. 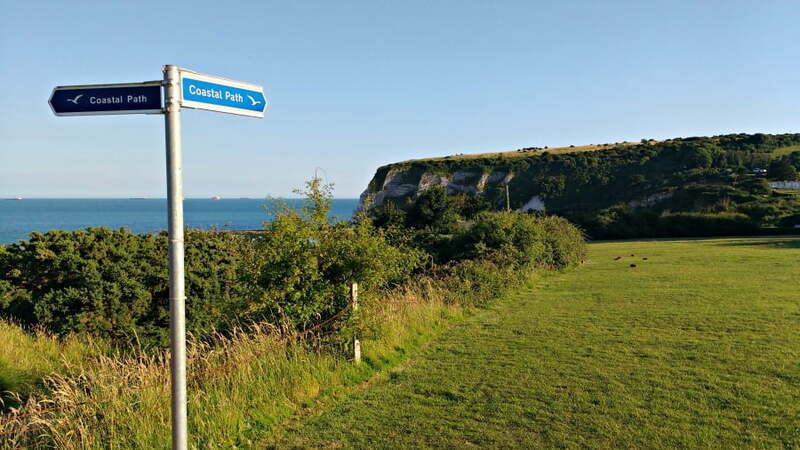 The Isle of Wight is also great for cycling. 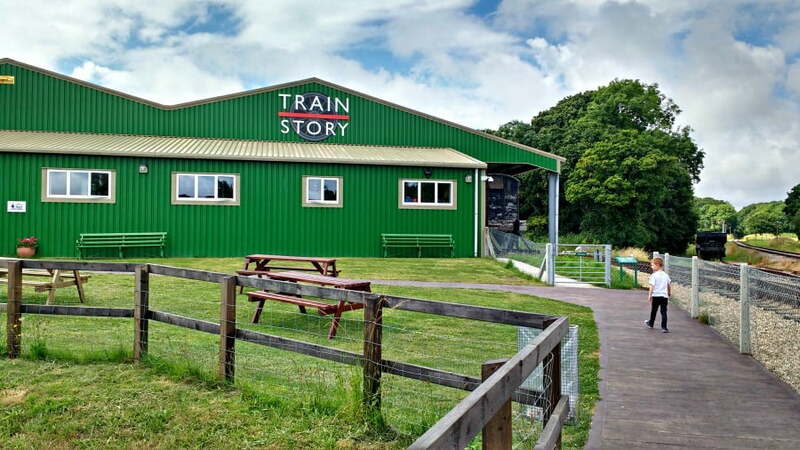 The Red Squirrel cycling trail is traffic free and flat- ideal for toddlers or less confident cyclists. 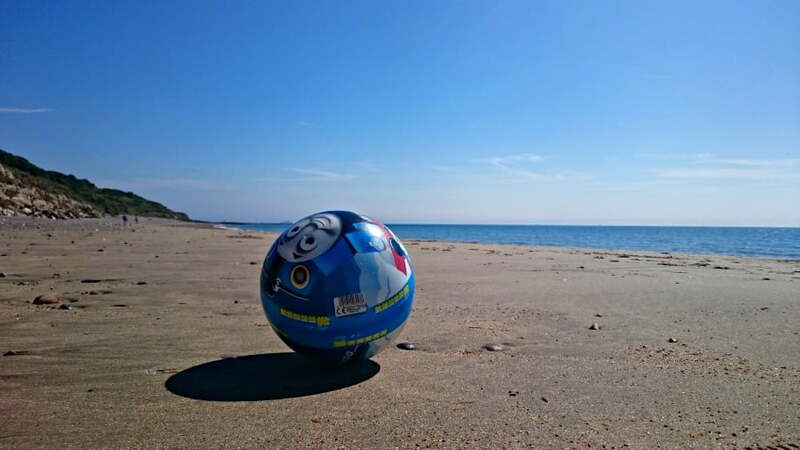 All in all, the Isle of Wight is a fantastic place to take a toddler on holiday. 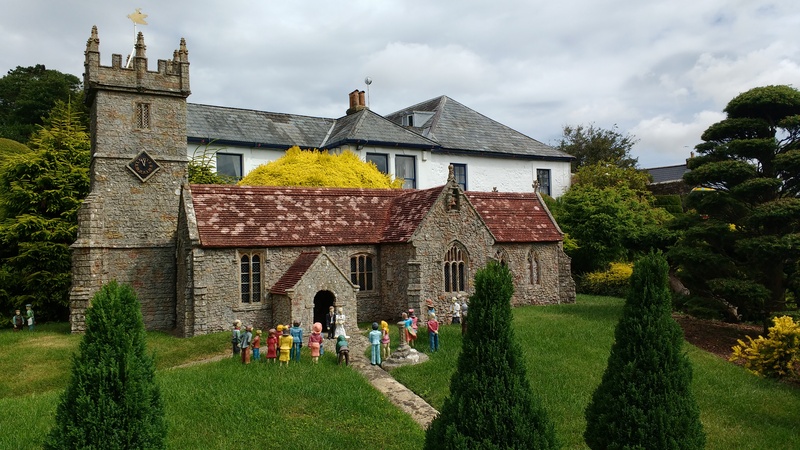 We were lucky with the weather, but even if it had rained all week there is still loads to do on the island. And it is so easy and stressfree to get there. 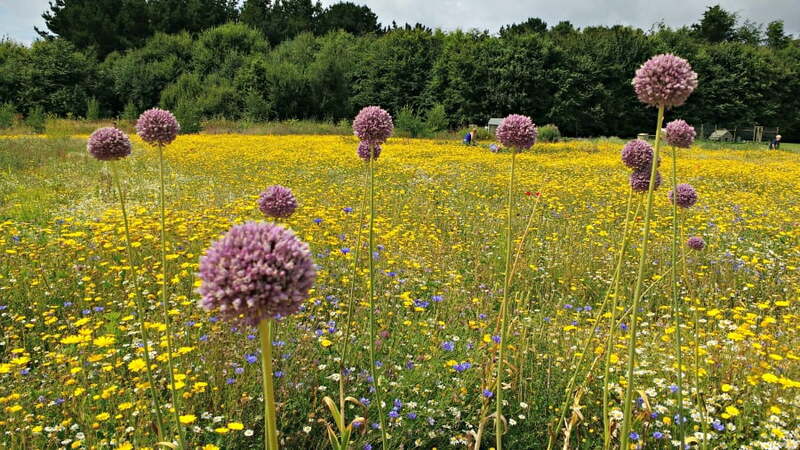 there is nothing quite like digging out some lovely summer photos in the middle of winter. 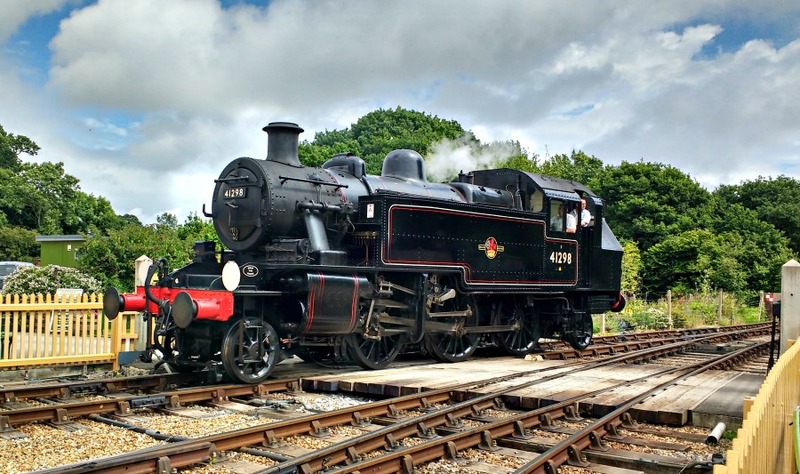 It looks like there is plenty to do there for all ages, but little ones would love the steam train and model railway. 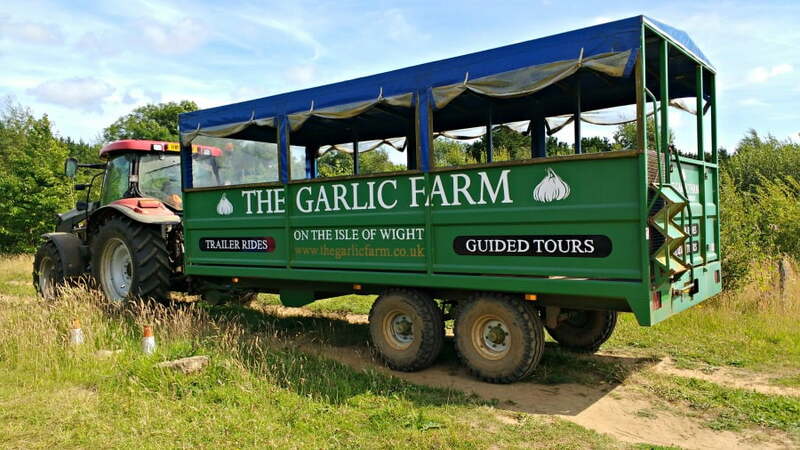 I think Farmer Nick might have tractor and trailer envy looking at the size of the one at the garlic farm! 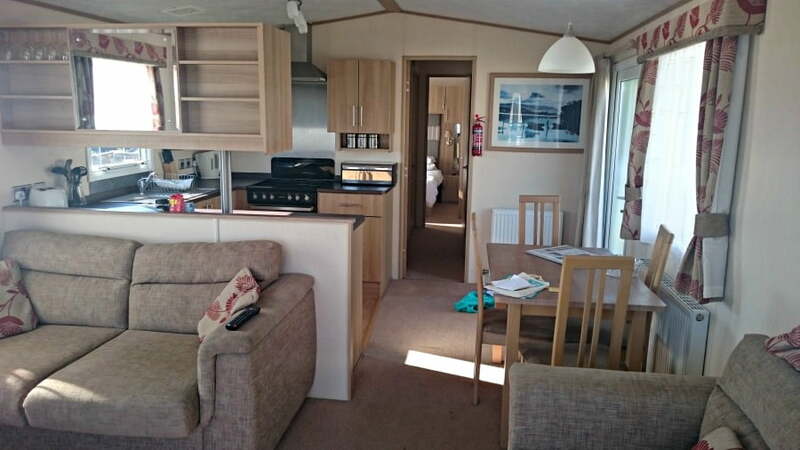 I have never been to the Isle of Wight but now that I’ve seen your photos, I’m thinking of booking up! 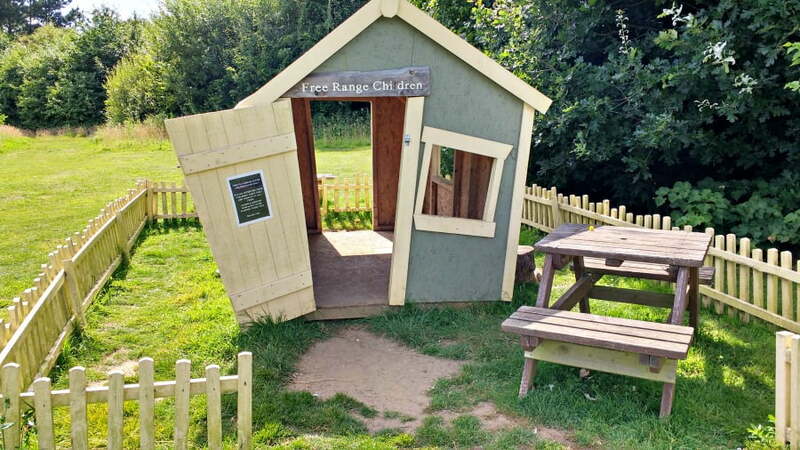 It looks absolutely perfect for young children. I’m imagining how wonderful a garlic farm smells.. 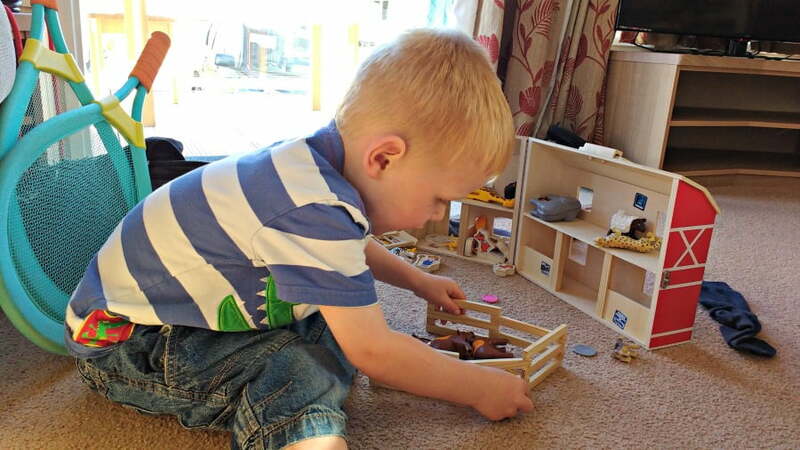 Thanks for joining #daysoutwithatoddler – what a fab time you all must have had! Wow! 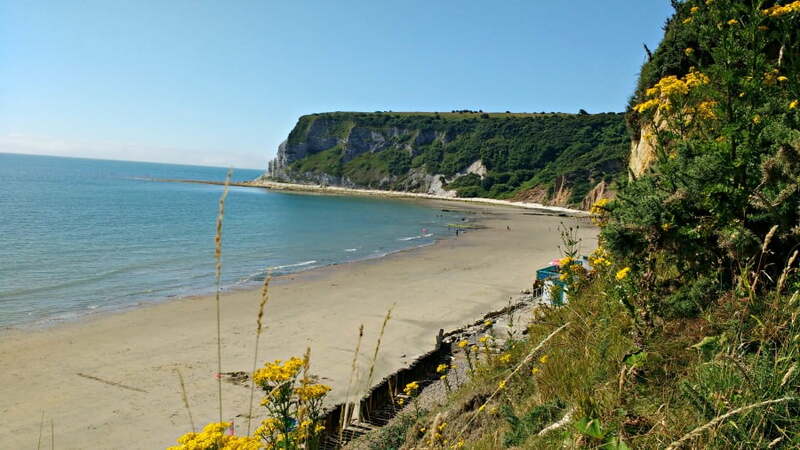 I never knew there was so much to do in the Isle of Wight (never visited) and it looks so beautiful. 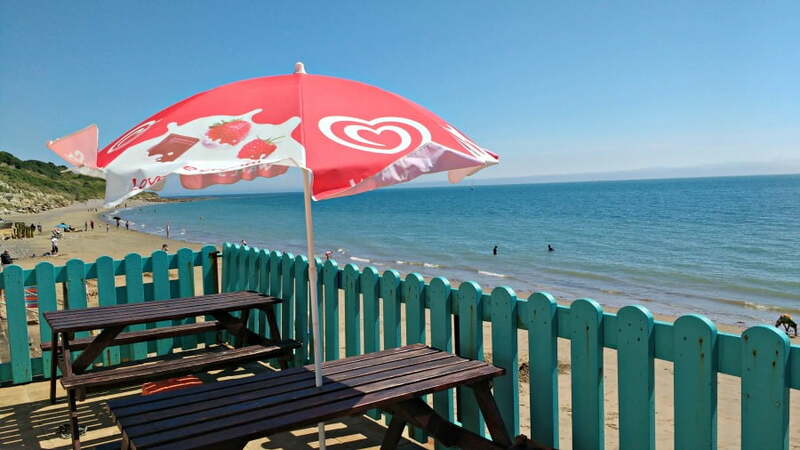 This is the type of place we could visit for a long weekend – looks like you guys has a brilliant time!